was actually one of America's most wanted fugitives, owing to his involvement in a notorious bank robbery. You're A Big Girl Now picks up the story some years later. Isabel is now a twenty-nine-year-old tech-savvy, freelance investigative journalist, one of the USA's best, despite some self-medication problems. She decides to turn her skills on her own family in the hope of finally understanding the truth about her grandfather, her father, and everything that's happened to her. 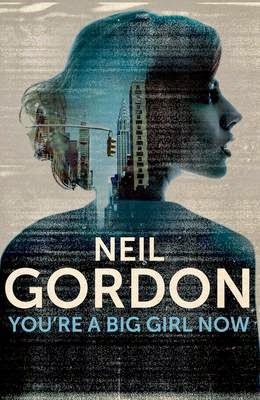 You’re A Big Girl Now is a smart, page-turning, emotional, and political thriller with a fantastic female protagonist. A group of old university friends leave the bright lights of London and travel to Unst, Shetland's most northerly island, to celebrate the marriage of one of their friends to a Shetlander. But late on the night of the wedding party, one of them, Eleanor, disappears - apparently into thin air. It's mid-summer, a time of light nights and unexpected mists. The following day, Eleanor's friend Polly receives an email. It appears to be a suicide note, saying she'll never be found alive. And then Eleanor's body is discovered, lying in a small loch close to the cliff edge. Detectives Jimmy Perez and Willow Reeves are dispatched to Unst to investigate. Before she went missing, Eleanor claimed to have seen the ghost of a local child who drowned in the 1920s. Her interest in the ghost had seemed unhealthy - obsessive, even - to her friends: an indication of a troubled mind. But Jimmy and Willow are convinced that there is more to Eleanor's death than they first thought. Is there a secret that lies behind the myth? One so shocking that someone would kill - many years later - to protect? Ann Cleeves' striking new Shetland novel Thin Air explores the tensions between tradition and modernity that lie deep at the heart of a community, and how events from the past can have devastating effects on the present. Thin Air is due to be published in September 2014. The Ploughmen is the story of two men - a killer awaiting trial, and a troubled young deputy - sitting across from each other in the dark, talking through the bars of a county jail cell. John Gload, so brutally adept at his craft that only now, at the age of 71, has he faced the prospect of long-term incarceration; and Valentine Millimaki, low man in the Copper County sheriff's department, who draws the overnight shift after Gload's arrest, tasked with getting the killer to talk about a string of unsolved murders. With a disintegrating marriage now further collapsing under the strain of his night duty, and his safety threatened from within his own department, Millimaki finds himself seeking counsel from a remorseless criminal. The strange intimacy of their connection takes a startling turn with a brazen act of violence, a manhunt, and a stunning revelation that leave Gload's past and Millimaki's future forever entwined. 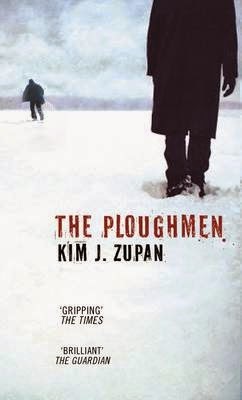 The Ploughmen is by Kim J Zupan and is due to be published in August 2014. Combining stories from eBook story collections Short Shockers One and Short Shockers Two, and with never-before-seen new material, this is a story collection you won't forget. From a woman intent on revenge, to a restaurant critic with a fear of the number thirteen, and from a story of ghostly terror to the first ever case of his best-loved Detective, Roy Grace, Peter James exposes the Achilles heels of each of his characters, and makes us question how well we can trust ourselves, and each other. Funny, sad, but always shocking, each tale carries a twist that will haunt readers for days after they turn the final page ... A Twist of the Knife is due to be published in November 2014. 1987. Verlangan, a former cop turned private detective is hired by a woman to follow her husband Jaan 'G' Hennan. A few days later, his client is found dead at the bottom of an empty swimming pool. Maardam police, led by Chief Inspector Van Veeteren, investigate the case. Van Veeteren has encountered Jaan 'G' Hennan before and knows only too well the man's dark capabilities. 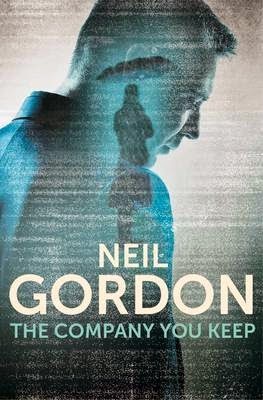 As more information emerges about G's shadowy past, the Chief Inspector becomes more desperate than ever to convict him. But G has a solid alibi - and no one else can be found in relation to the crime. 2002. 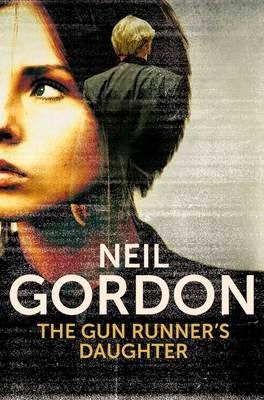 Fifteen years have passed and the G File remains the one case former Chief Inspector Van Veeteren has never been able to solve. But when Verlangan's daughter reports the private detective missing, Van Veeteren returns to Maardam CID once more. For all Verlangan left behind was a cryptic note; and a telephone message in which he claimed to have finally discovered the proof of G's murderous past... The G File is by Håkan Nesser and is due to be published in July 2014. Nitric acid, baseball bats, and HIV-filled syringes: people are being attacked publically by a masked figure in the centre of Manchester and Jessica Daniel doesn’t know how to catch the person responsible. Not that she’ll get much help from the media – it is twenty-five years since the Stretford Slasher was caught and those who can remember it are feeling nostalgic. With the city held in a wintry grip, Jessica has a caseload stacking up and an old friend to look after – all while she wilts under the shadow of secrets a quarter of a century old. Crossing the Line is by Kerry Wilkinson and is due to be published in September 2014. There's nothing so terrifying as money...Two friends, Alex Glass and Oliver Peterkinney, look for work and for escape from their lives spent growing up on Glasgow's most desperate fringes. Soon they will become involved in one of the city's darkest and most dangerous trades. But while one rises quickly up the ranks, the other will fall prey to the industry's addictive lifestyle and ever-spiralling debts. Meanwhile, the three most powerful rivals in the business - Marty Jones, ruthless pimp; Potty Cruickshank, member of the old guard; and Billy Patterson, brutal newcomer - vie for prominence. And now Peterkinney, young and darkly ambitious, is beginning to make himself known ...Before long, violence will spill out onto the streets, as those at the top make deadly attempts to out-manoeuvre one another for a bigger share of the spoils. Peterkinney and Glass will find themselves at the very centre of this war; and as the pressure builds, each will find their actions - and inactions - coming back to haunt them. But it is those they love who will suffer most ...From the award-winning author of the Glasgow Trilogy, The Night the Rich Men Burned is a novel for our times, and by Malcolm Mackay and is due to be published in August 2014. Set in London and Essex, The Informant is a story of ruthless criminals, corrupt cops, obsessive love and the villainy that operates on both sides of the law. As a drug-fuelled teenage tearaway, Kaz Phelps took the rap for her little brother Joey over a bungled armed robbery and went to jail. Six years later she's released on licence. Clean and sober, and driven by a secret passion for her lawyer, Helen, Kaz wants to escape the violence and abuse of her Essex gangster family. Joey is a charming, calculating, and cold psychopath. He worships the ground Kaz walks on and he's desperate to get her back in the family firm. All Kaz wants is a fresh start and to put the past behind her. When Joey murders an undercover cop, DS Nicci Armstrong is determined to put him behind bars. What she doesn't realise is that her efforts are being sabotaged by one of their own and the Met is being challenged at the highest level. The final test for Kaz comes when her cousin, Sean, gets out of jail. He is a vicious, old-school thug and wants to show Kaz who is boss. Kaz may be tough enough to face down any man, but is she strong enough to turn her back on her family and go straight? The Informant is by Susan Wilkins and is due to be published in November 2014. Sicily, 1880. When a stranger arrives in Vigata, the town's inhabitants immediately become unsettled. It seems the young man, Fofo, is the son of a local peasant legendary for his home-grown medicines; a man who was murdered many years before. Fofo opens his own pharmacy in Vigata and his remedies are sought by many. But he soon finds himself entangled with the local nobility: Don Filippo - a philandering marchese set on producing a new heir, his long-suffering wife Donna Matilde, his eccentric elderly father Don Federico, his son Federico and beautiful daughter Ntonto, above all. But it won't be long before death visits Vigata and the town and its most noble family will never be the same again ...Both a delightful murder mystery and a comic novel of huge brio, fired by love and obsession and filled with memorable characters, Hunting Season is the captivating new book from Andrea Camilleri the bestselling author of the Inspector Montalbano series and is due to be published in October 2014. When Amy MacKenzie agrees to attend a meeting at a local spiritualist church, the last person she expects to hear calling to her from beyond the grave is her son. The son whom she'd only spoken to an hour before. 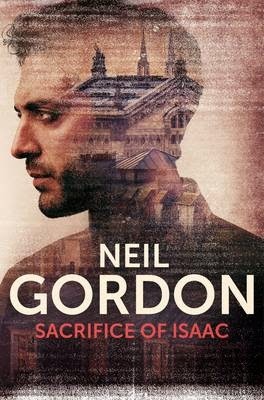 Then the body of a young man is found inside a neolithic stone circle high above the city of Glasgow and forensic scientist Rhona MacLeod is soon on the case. The hands have been severed and there is a stone in the victim's mouth with the number five scratched on it. DI Michael McNab is certain it's a gangland murder, but Rhona isn't convinced. When a second body is found in similar circumstances, a pattern begins to emerge, of a killer intent on masterminding a gruesome Druidic game that everyone will be forced to play ... Paths of the Dead is by Lin Anderson and is due to be published in August 2014. Only the lawless will survive ...It is 1975 and Ruby Darke is struggling to deal with the brutal murder of her lover, Michael Ward. As her children, Daisy and Kit, battle their own demons, her retail empire starts to crumble. Meanwhile, after the revenge killing of Tito Danieri, Kit is the lowest he's ever been. But soon doubt is thrown over whether Kit killed the right person, and now the Danieris are out for his blood and the blood of the entire Darke family. As the bodies pile up, the chase is on - can the Darkes resolve their own family conflicts and find Michael Ward's true killer before the vengeful Danieris kill them? Or will they take the law into their own hands? Lawless is by Jessie Keane and is due to be published in July 2014. Friends: can you really trust them? Friends to Die for is by Hilary Bonner and is due to be published in August 2014.. A group of friends living in London's Covent Garden are subjected to the whims of a dangerous prankster. At first, whilst disturbing, the tricks are funny. But as they continue they become more serious and violent, until finally someone lies dead. As the remaining friends struggle to manage their grief and identify the culprit, suspicion soon falls close to home and secrets furtively kept hidden are brought to light. Alliances are formed, and the once-cosy group begins to turn on each other. Could one of them really be capable of murder? Military CID investigator John Puller has returned from his latest case in Florida to learn that his brother, Bobby on death row at Leavenworth Military Prison for national security crimes has escaped. Now Bobby’s on the run and he’s the military’s number one target. John Puller has a dilemma. Which comes first, loyalty to his country or to his brother? Bobby has state secrets that certain people will literally kill for. But the brothers are close, and blood is thicker than water. With the help of John’s long-time friend and colleague, General Julie Carson, both brothers move closer to the truth from opposing directions. This case puts John Puller in a place he thought he’d never be – on the other side of the law – where even his skills as an investigator, and his strength as a fighter might not be enough to save him. Or his brother. The Escape is by David Baldacci and is due to be published in November 2014. In 1963 a couple are brutally killed in their own home. The only survivor is the baby taken that night. Twenty-six years later, in Louisville, Kentucky, Andrew Combs confronts the man who cold-bloodedly murdered his mother. Consumed by his need for revenge, Andrew sets in motion a violent chain of events that can only end in someone's death. Andrew's father, Harry Combs, former assassin and man on the run, discovers his past has finally caught up with him. His son thinks he knows the truth, but the real story is far darker. As shadowy figures threaten Harry's new life, Harry and Andrew must work together to save themselves, and each other. The Gentle Assassin is by Ryan David Jahn and is due to be published in September 2014. A lost cipher. A race against time to decode it. Marine archaeologists Kate Wetherall and Lou Bates are diving off Howland Island in the middle of the Pacific Ocean, when a torpedo-shaped object hurtles through the water towards them; the fuselage Amelia Earharts’s lost plane. In the cockpit, they find a corroded metal cylinder the size of a baton. Landing back on US soil, Kate and Lou are arrested and interrogated by Special Forces, and the cylinder confiscated. Behind the arrests is Glena Buckingham, CEO of the powerful energy conglomerate Eurenergy, as she too has discovered that the wrecked plane may have held precious secret cargo. Meanwhile, an extraordinary piece of footage has come to light – of Einstein talking about a radical new defence technology he had been working on. Whoever can decrypt the lost cipher, which holds the key to Einstein’s secret defence technology, could hold the key to global power. The Einstein Code is by Tom West and is due to be published in November 2014. Two brothers from the same criminal family die within hours of each other, five miles apart. One is wrapped around the wheels of a Mercedes van on the edge of a Newcastle industrial estate, the other in a busy A & E department of a local hospital, unseen by the triage team. Both victims have suffered horrific injuries. Who wanted them dead? Will they kill again? Investigating these brutal and bloody killings leads maverick cop, DCI Kate Daniels, to break some rules, putting her career as well as her life on the line. As the body count rises, in the worst torture case Northumbria Police has ever seen, the focus of the enquiry switches, first to Glasgow, and then to Europe. It ends in a confrontation with a dangerous offender, a legend of his time. The currently untitled Mari Hannah novel is due to be published in December 2014.